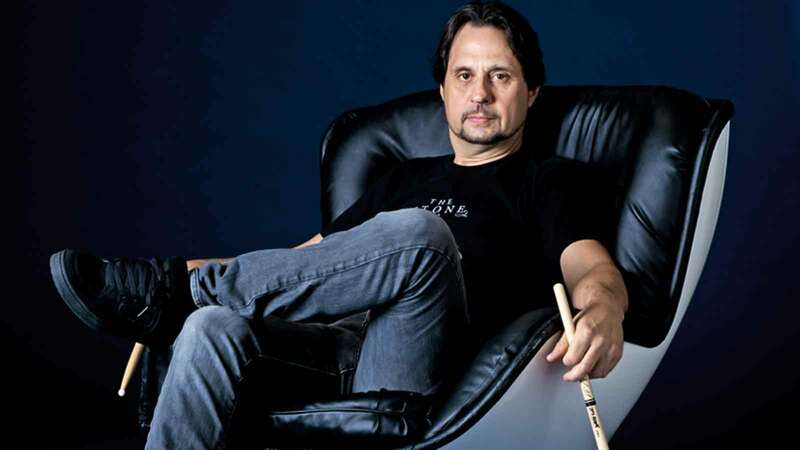 MetalRockNews: Dave Lombardo about Slayer's early days: "We were our own street team"
Dave Lombardo about Slayer's early days: "We were our own street team"
Former Slayer and current Philm drummer Dave Lombardo was recently interviewed by "No Limits Music Show", you can read some excerpts below. About how advancements in technology have changed the way music is being made, Lombardo said: "The process in which we record music is different; now it's recorded onto a computer. When I recorded Slayer's 'Reign In Blood', I recorded on tape, so those were one take. Those songs, you know, we didn't put 'em through Beat Detective or any type of quantizing… I mean, all those songs back in those days. All those albums up to 'Seasons In The Abyss' were recorded onto tape, so technology has changed. It's a little easier for drummers now. All a drummer needs to do is probably play two bars of a rhythm, or a beat, and the engineer copy-pastes that and… It's not real." Asked if he thinks it's harder for new bands to get their foot in the door nowadays than it was when he was first starting out, Lombardo said: "I don't know. I've been lucky. I've really been lucky in my career. I was sixteen years old when I pulled Kerry King off the lawn. When I first met him, he was watering his grass on the front lawn. I heard that he was a guitar player through other musicians I was working with, so when I approached him, one thing led to another. We were very focused in what we wanted to do and where we wanted to be. We would put flyers in high school lockers. Nowadays, the schools are closed, so you can't get on the campus. But back in those days, the campuses were open, so we'd go in there with a stack of flyers and put it in every single locker, and that's how we would promote shows. We would drive down th street with Kerry's friend that had a P.A. on his truck, or some type of a megaphone: 'Slayer performing at the UAW Hall… blah blah blah… this date.' And that's how we promoted our shows… Street team. But we were our own street team. So I think things have changed. Maybe kids aren't as creative as they used to be. We tried our best and we forged our own path."